G protein-coupled receptors (GPCRs) are membrane proteins that transduce a vast array of extracellular signals into intracellular reactions ranging from cell-cell communication processes to physiological responses. They play an important role in a variety of diseases from cancer and diabetes, to neurodegenerative, inflammatory and respiratory disorders. GPCRs are therefore of utmost interest in drug development: over half of all prescription drugs currently on the market act by targeting these receptors directly or indirectly. 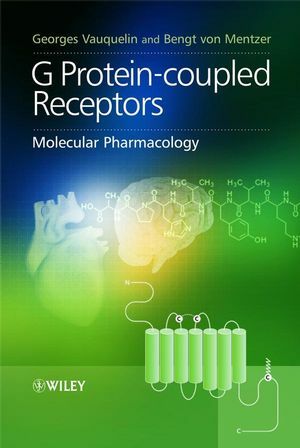 G Protein-coupled Receptors: Molecular Pharmacology provides a clear summary of the current knowledge in this fast-evolving field. The book sets out with an introduction to signalling molecules and their receptors, and an overview of the technical approaches used to investigate these interactions. Structural, functional and especially pharmacological aspects of GPCRs are then discussed in more detail and much attention is devoted to the analysis and interpretation of experimental data. The now widespread use of recombinant cell lies, receptor mutants and related artifices in drug research is critically evaluated. Special attention is also devoted to topical but often poorly understood concepts, such as insurmountable antagonism, inverse agonism and allosteric interactions. By combining general information with the major state-of-the-art concepts in GPCR-research, this outstanding book equips the reader with the necessary background for understanding and critically evaluating the current literature. Written by two experts from academia and industry, G Protein-coupled Receptors: Molecular Pharmacology offers a unique view of academic and applied approaches aiming to reveal new ideas in pharmaceutical research. 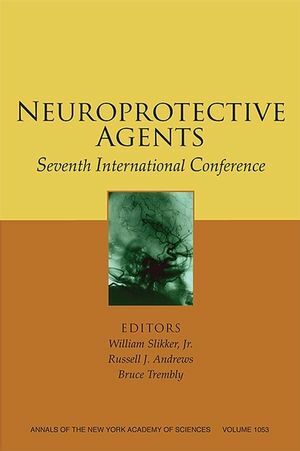 The book is of interest to anyone involved in drug development and preclinical research and those who need to function within multi-disciplinary teams in the pharmaceutical industry: from investigators to product managers or clinicians who seek to have a broad mechanistic understanding of drug-receptor interactions. It is also an invaluable resource for final year undergraduate and postgraduate students in pharmacology and cell and molecular biology. 1. CHEMICAL MESSENGERS AND THE CELL MEMBRANE. 1.1. Endocrine signalling by hormones. 1.2. The nervous system and synaptic signalling by neurotransmitters. 1.3. Paracrine signalling by local chemical messengers. 1.4. Hydrophobicity: effect on release and transport of messengers. 1.5. Membrane proteins and membrane receptors. 2.1. Technical aspects of radioligand binding. 2.5. Regional distribution of receptors. 3.1. Dose-response curves and associated problems. 3.2. From receptor-occupation to stimulus and response. FROM RECEPTOR OCCUPATION TO STIMULUS. FROM STIMULUS TO RESPONSE : LINEAR RELATIONSHIP. FROM STIMULUS TO RESPONSE: NON-LINEAR RELATIONSHIP. 3.3. Receptor classification and antagonist affinity. 4.1. From receptor to response: introduction to GPCRs. 4.3. Ligand interaction with family A, B, C receptors. LIGAND INTERACTION WITH FAMILY A RECEPTORS. LIGAND INTERACTION WITH FAMILY B RECEPTORS. LIGAND INTERACTION WITH FAMILY C RECEPTORS. 4.5. Activated GPCRs: interaction with G proteins. TECHNIQUES TO STUDY G -PROTEIN COUPLING PREFERENCE. 4.6. Activated GPCRs: phosphorylation and internalisation. b-ARRESTIN BINDING MEDIATE GPCR ENDOCYTOSIS. 4.7. b-Arrestin- binding and MAP kinase activation. 4.8. GPCR dimerisation and association with other proteins. GPCR INTERACTION WITH OTHER MEMBRANE RECEPTORS. GPCR INTERACTION WITH OTHER MEMBRANE PROTEINS. GPCR INTERACTION WITH CYTOPLASMIC PROTEINS. 4.9. Early models for GPCR activation. 4.10. Restricted GPCR mobility and G protein coupling. RESTRICTED GPCR- G PROTEIN COUPLING: EFFECTOR ACTIVITY. 4.11. Spontaneous receptor- G protein coupling. 4.12. Interaction of two G proteins with one activated receptor state. “AGONIST TRAFFICKING”: WHAT DO MODELS PREDICT? EXPERIMENTAL “EVIDENCE” FOR AGONIST TRAFFICKING: POTENTIAL PITFALLS. MULTISTATE RECEPTORS: LIGAND- MEDIATED SEQUENTIAL CHANGES IN RECEPTOR CONFORMATION. MULTIPLE RECEPTOR STATES RELATED TO TRUNCATION, COVALENT MODIFICATION AND MUTATION. 4.14. Multistate receptors and multiple ligand binding sites. THE GENERAL ALLOSTERIC TERNARY COMPLEX MODEL. EXOGENOUS AND ENDOGENOUS ALLOSTERIC MODULATORS. ALLOSTERIC PHENOMENA AT GPCR: DETECTION BY RADIOLIGAND BINDING. DETECTION OF ALLOSTERIC PHENOMENA AT GPCR BY FUNCTIONAL ASSAYS. 4.15. "Competitive", "non-competitive "and "insurmountable" antagonism. ANTAGONIST PREINCUBATION, NO RECEPTOR RESERVE. 4.16. Naturally occurring mutations of GPCRs.